Your payments are important, that is why we offer 2-Step Authentication for your Plastiq account. This feature is optional, but highly recommended as 2-Step Authentication is one of the best ways to prevent unauthorized access to your account. 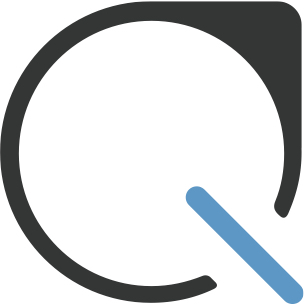 Sign into your Plastiq account and click on the person icon in the top right corner. This will direct you to information about how to make your Plastiq account even more secure. From here, click Set a Security PIN. Then, enter a unique 4 digit number that you can easily remember. We recommend that you do not reference any birthdays, anniversaries, or social security numbers. Repeat your Security PIN and click Save Your Security PIN. Once your PIN is set, toggle the "OFF" switch to "ON" next to 2-Step Authentication. In order to enable this feature, we'll need to confirm your phone number first. But if you've already confirmed your phone number you're all set. Select how you could like to confirm — a text message or phone call. Next, enter your personal information. Please make sure you are using your legal name and correct phone number. Currently, we can only confirm phone numbers based in the United States or Canada. When you receive your code by text message or phone call, enter it on the screen and click Confirm Code. NOTE: This is different than the PIN you just set. Once your phone number is verified, you will see the switch turn from "OFF" to "ON" next to 2-Step Authentication. For help signing after 2-step authentication is enabled on your account, click here.